APA has received an award from the Centers for Medicare and Medicaid Services (CMS) to help develop mental health and substance use quality measures for CMS’s Quality Payment Program (QPP). The QPP is the updated reimbursement system for CMS that was established under the Medicare Access and CHIP Reauthorization Act of 2015 (MACRA). 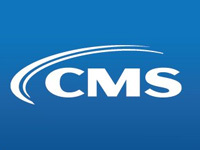 MACRA authorized CMS to provide incentives that encourage physicians to focus on quality, value of care, and patient health. APA is working with the National Committee for Quality Assurance (NCQA), a nonprofit organization that is experienced at developing quality measures. APA will use the funding to develop and improve quality measures for mental health and substance use disorders, including patient-reported outcomes, patient experience, care coordination, and measures of appropriate use of services. Another goal is to minimize the burden of measurement by eliminating redundancies and low-value quality measures from the QPP. APA will use its PsychPRO registry to test these quality measures. PsychPRO is a CMS Qualified Clinical Data Registry. APA is one of seven organizations chosen to receive this three-year award.